Neustar has been named a leader in the IDC MarketScape for DDoS Prevention Solutions. Neustar SiteProtect NG offers 10+ Tbps of DDoS mitigation, the largest dedicated data scrubbing network in the world, so you can maintain your online presence, reduce the threat of theft and protect your bottom line. We are honored by the IDC MarketSpace's recognition of our features, functionality, detection and mitigation techniques within the DDoS space. 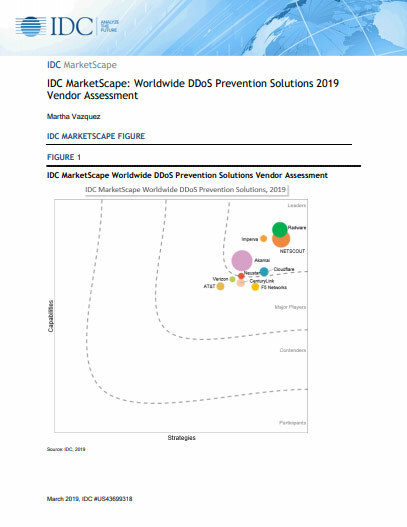 Thank you for downloading IDC MarketScape: Worldwide DDoS Prevention Solutions 2019 Vendor Assessment!